Our Junior Church is a place where children and young people can learn the basics of the Christian faith in a caring, safe, friendly and stimulating environment. This church has an active, well-staffed and enthusiastic Junior Church for ages 3-18. All are welcome at our church, so whether you are a regular attendee or a visitor, come and join us! We meet on Sundays 10.30am to 12.00pm. The first Sunday of every month we have our All Age Worship Service where we stay together with the rest of the church and it would be great to see as many families and young people there also! THE SEEKERS - This group is for KS1 (Key Stage 1) and involves a range of exciting and creative activities with a very supportive and efficient team of leaders. THE SEARCHERS - This group is for KS2 (Key Stage 2) and also involves a range of exciting and creative activities, but with a bit more time to chat and discuss to teach and give the young people something new to take away from the days session. There is also a very supportive and enthusiastic team of leaders. Teaching is supported by activities, including stories, drama, music and arts and crafts. There is also access to our Creche which is open for parents to take their children into throughout the service. We ask that parents stay with their child, but so that no one misses out there is a speaker available in there to continue listening along with the service. The children normally share in the first 15 minutes of the 10.30 am worship service, either staying with their parents or joining the majority of the children sitting in the front seats. Older children and young people are also encouraged to share in Holy Communion (usually once a month) with their parents' or guardians' consent. Junior Church members are actively involved in special services throughout the year, leading the music, presenting stories through drama or dance, writing and leading prayers, welcoming the congregation and doing other practical tasks. 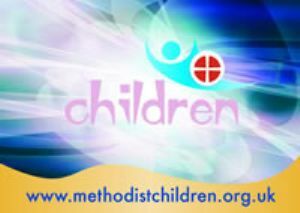 This church follows The Methodist Church Policy for Safeguarding Children and Young People. Click HERE to read the details of the Policies. All leaders are CRB checked. The Methodist Church of Great Britain has developed a website specially for people working with children and for the children themselves.